Management Rights in very general terms refer to a type of business. A management rights business exists when a body corporate, created under legislation, contracts with a third party (the management rights business owner) to manage and care take the common property of the body corporate and to carry out the function of letting agent on the property. The basis of each contract is not standardized throughout the industry and each property will have its own quirks – it is impossible to cover all the scenarios here. The contracts - or management rights - with the body corporate is essentially an asset which can be bought and sold. For more information on why you should buy management rights, click here. The management rights business is independent from the administration of the body corporate and is usually run in a ‘hands on’ capacity by the owner of the business or by employees of the owner. The owner of the management rights (the manager) is required to perform common property caretaking duties usually outlined in a schedule to the agreement with the body corporate and is required to be available to assist members of the body corporate and its committee. For this an agreed remuneration is paid. In Australia the remuneration can be quite substantial; in New Zealand it can be nominal. The owner of the management rights can make a great success of the letting component and create a thriving business. Therefore in essence, the main venture of a management rights business is the operation of a service accommodation business similar to owning a freehold going concern motel or a lease of a motel, motor lodge or hotel. 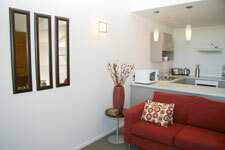 In these scenarios the units or apartments will be let for traveller’s accommodation, but in some properties the type of letting may be better suited for long term residential tenancies of six months or longer, or purpose built accommodation such as student accommodation connected to a university campus. The significant difference between management rights and operating a motel lease is that under management rights, the manager does not pay a rental to the motel owner. Instead the manager is paid a salary from the Body Corporate to maintain the common property. Any repairs and maintenance are paid for by the body corporate not the manager. In terms of letting, all the rental income received is shared between the manager and the owner of the unit in accordance with an agreement between them. It is the owner of the unit who pays rates, utilities and body corporate levies directly. While costs associated with the letting such as cleaning charges, marketing fees, management commissions are accounted for in a monthly statement to the owner. Usually in addition to purchasing the management rights i.e. the caretaking and letting contracts, the owner of the management rights will also purchase a pre-defined apartment within the complex to live in. 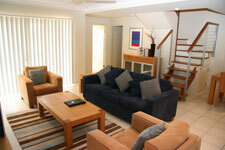 Generally the apartment is the one closest to or attached to the reception or office. The office may or may not be owned as part of the business. If it does not form part of the management rights title then it should be granted as exclusive use to the manager or an occupation authority granted to the manager. 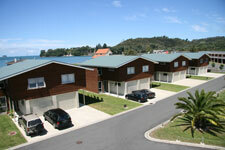 In New Zealand some buildings do not require that the owner of the management rights own an apartment within the complex. Sometimes an investor may own the apartment in which the manager resides and the body corporate reimburses the manager the cost of the lease. These properties are not as popular however as funding is harder to achieve due to the lack of freehold title. The body corporate itself is a legal entity made up of the individual owners of the units in the complex. 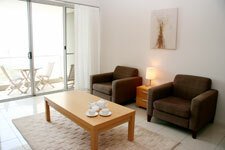 In all cases the units or apartments have their own freehold title. The body corporate must comply with the legal requirements set out in the relevant legislation such as the Unit Titles Act 1972 in New Zealand. The day to day administration of the body corporate is performed by a nominated committee, the manager (owner of the management rights) and usually a professional body corporate manager or secretary is contracted to carry out the financial, secretarial and administrative functions of the body corporate. A set of by-laws are drawn up and adopted at the first general meeting of the Body Corporate and all owners and guests are bound by these rules. The owners in the body corporate pay a levy set at the annual general meeting which pays the building operating costs including the manager’s remuneration. They are also levied for a sinking fund which is used for long term repairs and replacements of a capital nature based around a 10 year forecast plan. Body corporate legislation is heavily regulated in Australia. While the some-what archaic legislation in New Zealand is currently under review. The security of the manager’s tenure does vary. For example the caretaking and letting agreements for the Holiday Module in Queensland are 25 years and the Standard Module is set at 10 years. The length for both modules in New South Wales is a maximum of 10 years. New Zealand has no regulated length but they generally range from 19 to 30 years. The letting agreement between the owner of a unit and the manager to manage the letting of their apartment is governed by legislation in Australia and can be terminated by giving 90 days notice in writing. There is no requirement for the owner to use the letting services of the manager, so the manger must prove they are the best person for the job. Letting agent appointments in New Zealand are not regulated, but the Lancaster Group understands the importance of this agreement and use the same Australian format in New Zealand. Management rights have traditionally been an excellent business in both countries and have shown good capital gains and steady income. They are generally sold using a multiplier of the net income plus the manager’s apartment. For more information on using management rights experts in your decision making, click here.